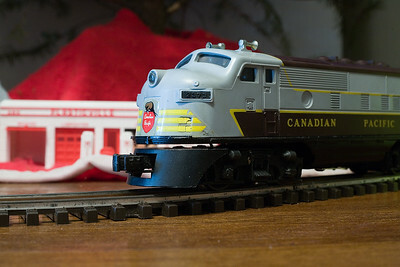 My uncle's Lionel 2373 Canadian Pacific F-3 AA Diesel Locomotive Set from 1957. The set also includes (1) No. 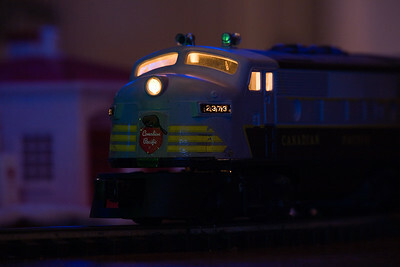 2551 Canadian Pacific Illuminated "Banff Park" Observation Car; and (3) Lionel No. 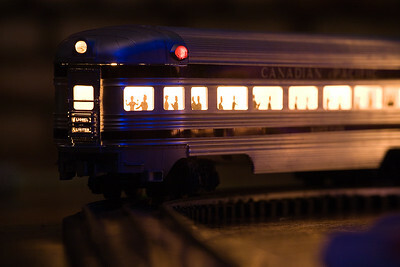 2552 Canadian Pacific Illuminated "Skyline 500" Vista Dome Cars. 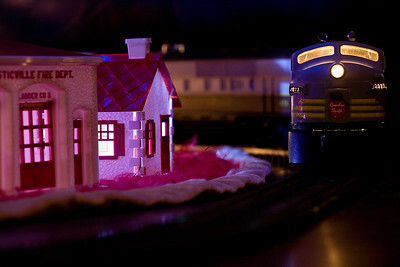 I also have 6 "Plasticville, USA" houses; Ranch House (white/yellow), Church, School House, Fire House, Gas Station and Cape Code House (red).